Because Ms Andrea and I are book buddies of sorts, I thought this would be an appropriate Guest Post. 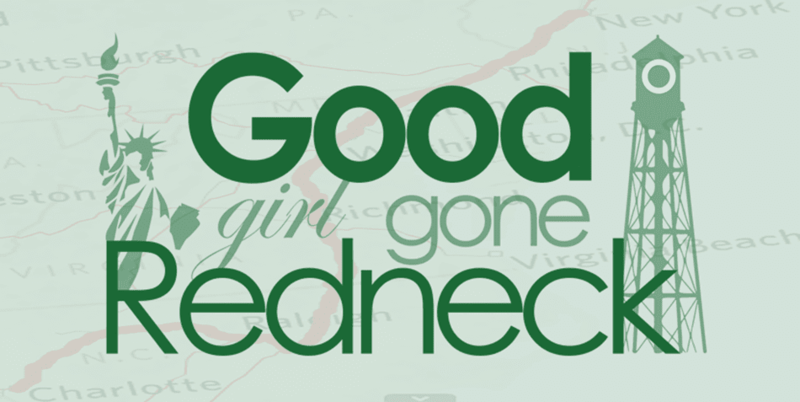 Please check out Single Mom in the South today, as she’s guest posting for me too, because not only do we have the same taste in books and movies, apparently we also have the same taste in vacations and are both headed to The Great White North this week! Unlike Ms. Andrea, I am a book borrower, not buyer. My sister, however, is a book buyer, so she lends me lots of books…usually ones I’m on the wait list for at the library. Such was the case with Emily Giffin’s latest novel Heart of the Matter. I’ll admit this one was tough for me to read. In fact, when I started to glean what the book was about, yes, I gave my sister a big ol’ lecture about warning me! I had to skip to the end and read the last chapter. There was a time not so long ago, where a book like this would have been tossed out the window in a fit of tears. 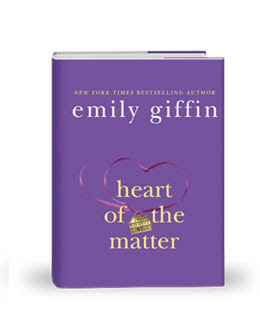 Heart of the Matter brings us two women, Tessa, who if you read Something Borrowed and Something Blue is the sister of Dex, who marries Rachel…they appear in the book, is a newly minted SAHM of two and wife of a surgeon and Valerie, a successful working single mom to Charlie. Through tragic circumstances, and every mom’s worst nightmare, Charlie is injured and becomes one of Tessa’s husband Nick’s patients. As the story progresses, Valerie ends up having a brief affair with Nick. Giffin does a good job in presenting both sides of the story. We see Tessa’s frustration over Nick’s increasing distance and her struggle, as she senses something is amiss, to right things with her marriage and family. We see Valerie struggle as her feelings for Nick intensify and she fights doing something she knows is wrong but then convinces herself it’s okay to do it anyway, that her feelings justify her actions. “I truly believe that she is finally over my father and the pain of her divorce, but for some reason, she says she will never forgive the “other woman’” fiercely believing that all women are in a sisterhood together, owing one another the integrity that men, in her mind, seem to innately lack.” Okay, I’m not a man hater, but I do feel this way, although with slightly less passion…I think, because I’m a woman and I know how I think, I cannot imagine going after someone else’s husband, I think all women should be like me- I know, terribly judgmental. For me, I have forgiven my children’s stepmother, but my feelings for her are more conflicted. “What should I do. What a strong woman would do. In fact, the only think that I am certain of is that there are no easy answers, and that anyone who says there are has never been in our shoes.” It grates on my nerves when someone whole heartedly insists they’d leave. I always insisted I would…but when I was faced with it, well, there were other things to consider and I didn’t immediately want him gone…I would have been willing to try to work through it. He wasn’t. In the long run, he did me a HUGE favor, but at the time…I wasn’t so sure. “Because no matter how many times I tell myself otherwise, how many times Cate and Dex reinforce the notion that Nick’s affair is no reflection on me, it still feels like my humiliation. 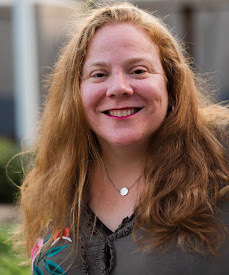 I am deeply ashamed of my husband, my marriage, myself.” Oh, sometimes in my darkest moments I still feel this way…like it was somehow my fault, even though I know that it wasn’t. Yes, I contributed to the problems in my marriage but I AM NOT responsible for the dishonorable way HE chose to handle it! Ultimately, and obviously from my own life experiences, I identified most with Tessa. Even though Giffin lets us into Valerie’s thought processes, I couldn’t bring myself to feel sympathy for her. I mean, yes, I understood her single mom anxieties and her fears for her child, as well as how her vulnerability ultimately made her fall for the man who rescued and “fixed” her child, but I just could not relate to her crossing the line. It’s just something I can’t ever see myself knowingly or willingly doing. And I can’t, I can’t, I can’t forgive her for putting her own needs above that of her child…for letting Charlie get attached to a man HE could never have. I’m glad I read it and didn’t throw it out the window *grins*, because the fact that I got through it and didn’t cry or slide into a funk means I’ve grown and healed! YAY me!